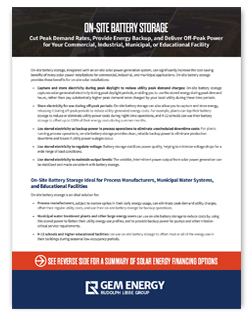 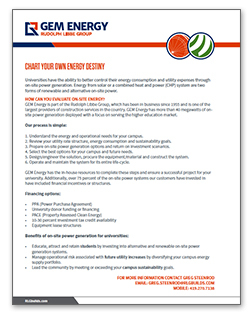 Whether it’s solar, Combined Heat & Power (CHP), a hybrid system, or combining either with battery storage, adopting on-site power for your campus puts you in control of current and future energy consumption and utility expenses. 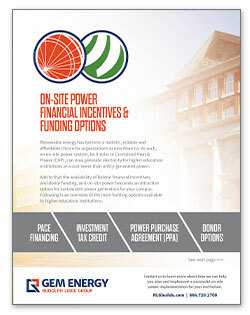 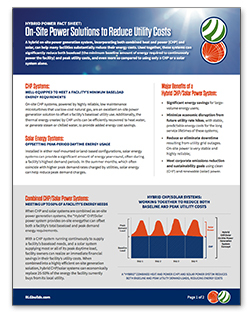 This program makes adoption of on-site power simple and affordable, thanks to the expertise and one-call implementation management provided by GEM Energy. 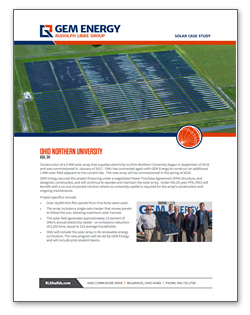 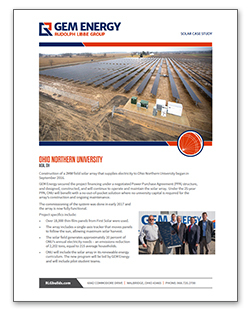 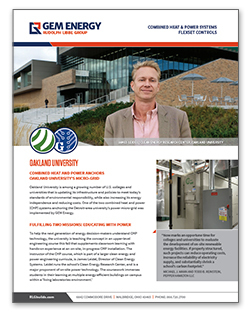 Depending on your campus, on-site power in the form of solar installations and/or Combined Heat & Power (CHP) systems can provide significant environmental and economic efficiency. 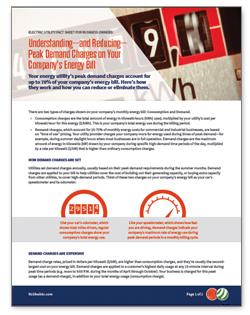 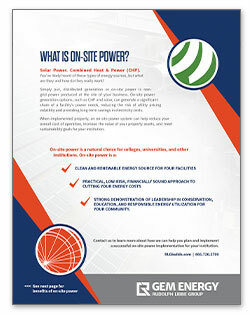 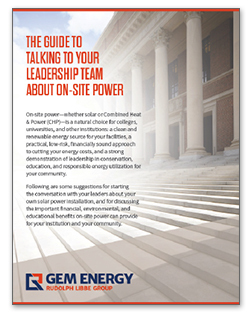 Explore the resources offered here to learn more about implementing on-site power for your campus.